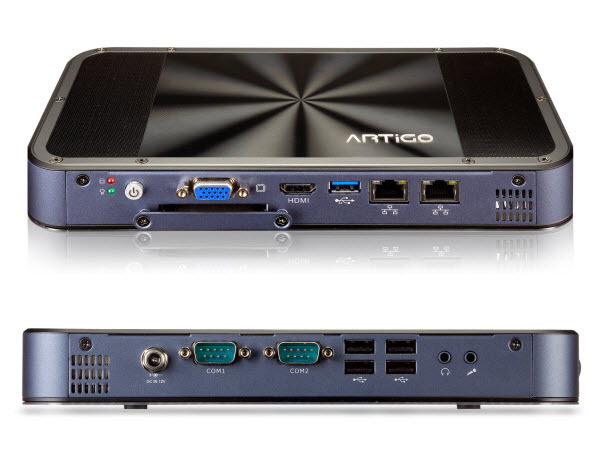 The VIA ARTiGO A1200 slim computer packs a VIA Eden™ X2 dual core processor, HD video and HDMI support for a rich multimedia experience in a low profile fanless design. VIA ARTiGO A1200, the newest addition to the VIA ARTiGO range of compact barebone system solutions will be displayed for the first time. This ultra slim barebone system with mere 1.2 inches of height is powered by VIA Nano X2 E dual core processor and VIA VX900 media processor, which in combination supports the smooth playback of 1080p HD video.